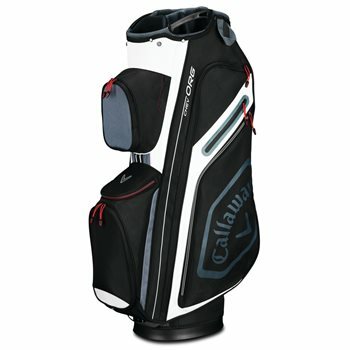 The bag with the boldest look and concise organization, the Chev Org cart bag from Callaway includes a 14-way top with side grab handles. The bag also features a spacious cooler pocket to keep your refreshments cold all day. The water-resistant fabric allows for incredible durability and protection. It’s designed with 2 full length apparel pockets for those worrisome forecasts.